How should I recover my Lost CCTV/DVR Videos ? 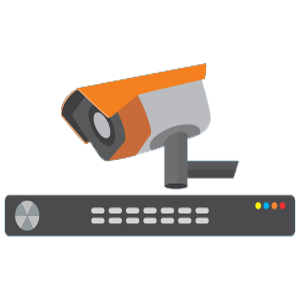 PC based, running proprietary OS and designed to run a single application at a time, CCTV-DVR is a security device that is commonly used these days. Possessing the ability to record video correctly for years with the use of Digital Video Recorders (DVRs), it has become an integral part of enhanced video surveillance systems. Perhaps, it is considered to be one of the highly reliable security devices for prevention of crime, industrial processes, traffic monitoring, safety of transport system, control of retail, safety in schools, home security, etc. As users, you can experience situations such as loss of CCTV DVR footage (data) at times. With the loss of DVR footage, the very purpose of installing the video surveillance system fails. 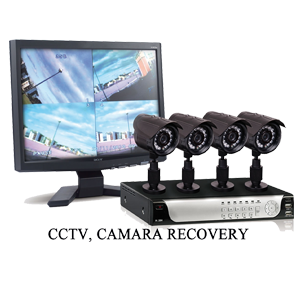 This gives rise to the need of CCTV DVR data recovery service so that all the video recordings can be recovered. DVR hard disk recovery is a task that requires technical expertise and experience. Any mistake can cause the recorded videos to be lost forever beyond the scope of recovery. If your footage is inaccessible either due to deletion of the video or any corruption in the CCTV DVR device or the video files, you should go for a proven DVR CCTV data recovery service provider. This will help you in recovering deleted CCTV footage as well as inaccessible videos. You can contact any of our Roots Data Recovery Data Recovery service centers through email, telephone call, or directly visit any of our data recovery centers. With more than two decades in data recovery, we promise to provide quality and time bound CCTV Footage Video recovery service. We have the best infrastructure for data recovery. Our Class 100 Clean Room is where we recover data from physically damaged CCTV hard drives. The expertise of highly qualified and experienced professionals adds more efficiency in our data recovery process. We at data recovery service centers in the Indian sub-continent will recover intact multimedia data for you in all cases. No matter whether the data loss is due to corruption issues or deletion, our CCTV hard drive recovery service will recover it safely and securely. Moreover, the privacy of the footage will be maintained. We are an ISO certified data recovery company. Thus we take special precautions to safeguard your personal videos. We provide CCTV footage recovery services to recover lost footage from CCTV DVR of almost all popular brands and make of security camera hard drives. All formats of image and video files that DVRs record and play are supported. MPEG-2 .mpg, MPEG-2 .TS, MPEG-4 Part 2, H.264, VOB and ISO images video, with MP3 and AC3 audio tracks, are the supported video formats. Images of JPEG and PNG, whereas and music files of MP3 and Ogg type are also supported.